Ever wanted to produce a movie style (okay Movie-ish!) 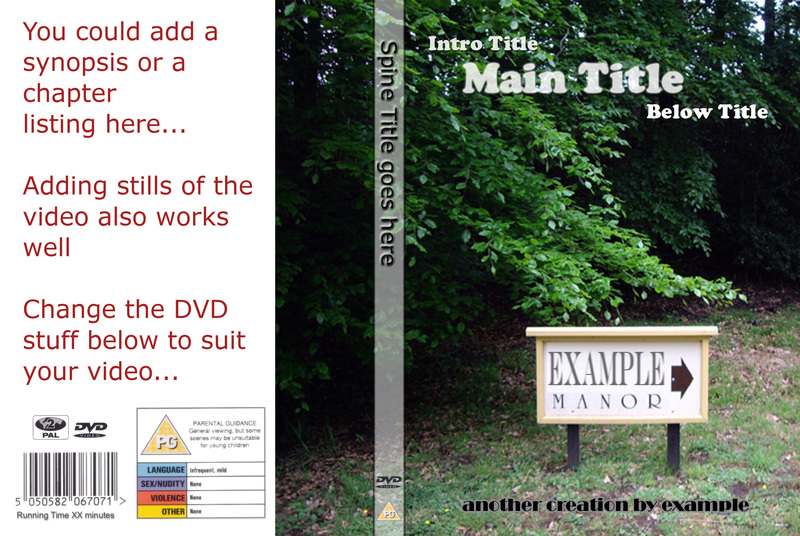 DVD cover for a personal video project? Well I’ve come up with a photoshop template that allows for printing on to A4 card (and then trimming to fit) to do the insert that goes under the clear plastic on a standard DVD box. Note that this folds so the section on the left will be on the back, the middle will be the spine and the right will be – yep you guessed it – the front. You can either buy new DVD boxes (tesco sell them reasonably cheap) or take an old DVD case (like the ones you get with free DVD’s you get with Magazines or old game cases) and remove the existing insert replacing it with your own. If you print / trim carefully you can get it to show the label along the spine perfectly – this sometimes takes some trial and error! This photoshop template is quite large (as its high res and designed for good quality print output) so I have zipped it up – get it by clicking this link. I’ve also exported it to JPG in case photoshop is of no use and you want the general idea. You can be as simple or as creative as you want with this basic design – I tend to throw a few stills from the video (or even better similar shots from a digital camera as they are better quality) on the case. Whilst doing this I discovered mediafire.com which is where I am hosting the file from as its quite large – pretty impressive and very quick (no registration is needed which is a bonus).